You’ll probably feel a little nervous about going to DivorceCare the first time. Those feelings go away quickly for most people, usually during the first session they attend. DivorceCare is a warm, caring environment designed to help you.You’ll discover there are people who understand your hurts, emotions and painful experiences! In divorce, it’s common to feel isolated. In DivorceCare, you’ll find that you are not alone, that there are others who understand what you are going through. You’ll become part of a “family.” DivorceCare group members often tell us that they feel like their group has become a family, that they made new friends and are around people they can relate to. DivorceCare is designed to be a safe environment, and dating relationships between group participants are not encouraged (to allow you time to focus on your personal healing). See registration below. The program runs for 13 weeks in the Connection Cafe, from 6:50 - 9:00 PM, and the cost is $25.00 per person (books included); payable on the first night via cash or cheque if possible. If wanting to pay via credit card or debit, please contact the office (Ph: 403-948-3821). 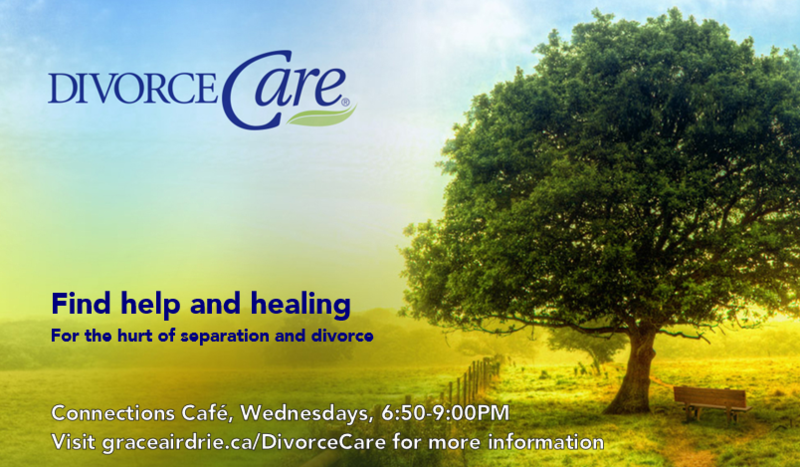 Divorce Care is lead by June Krefting and her team. If you have any questions, please email June Krefting. "Thank you for allowing this program to run in your church over the summer. It has helped me over a hard time." "DivorceCare gave me an outlet to share and learn from others." "I highly recommend this course. It definitely gives insight and perspective. This course is reality, not fluff. DivorceCare has helped me find hope, strength, compassion and validity." "DivorceCare has given me hope and great support." "DivorceCare has helped me come to terms with my divorce and provided spiritual connection." "Thanks for being so loving and caring." "It helps to know you are not alone." Are your children feeling scared, sad, and confused about your separation or divorce? They know you have been hurt deeply. As a result, they may hide their feelings because they are worried about your happiness or because they do not know how to express their feelings appropriately. DC4K helps them process those feelings and gives them tools to communicate better with you. PLEASE NOTE: DC4K is not currently available due to lack of leaders. If you are interested in helping lead this program, please contact June Krefting. Thank you.